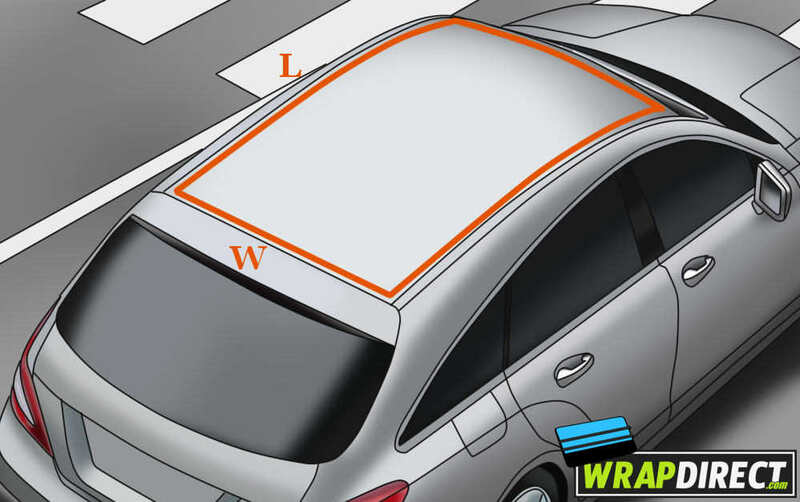 One of the most common parts of a car to wrap is the roof and it can really add a bit of personality to your car. The most common is a Gloss Black Panoramic Roof Effect with our Gloss Black Wrap but you can also add a bit of colour to your roof with our Rainbow Style Wrap. The width of the rolls are 1.52m (5ft) which is fine for most roof widths (W) so all you need to do is measure the length (L) and select the correct size on the product pages.